How to draw an order management flowchart and present the procedure visually? This introductory tutorial covers how to make an order management flowchart using pre-made symbols in Edraw. Every business has its own model. In order to let employees understand the business procedure clearly so that they could accomplish their jobs with the minimal mistakes, an explicit visual guide is a must. 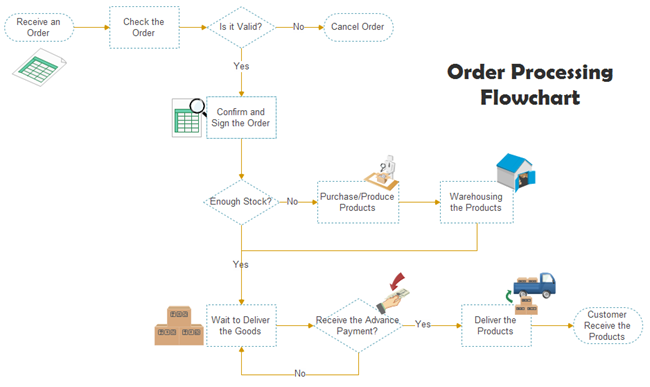 This article will show you how to use flowchart to visualize order processes. We will introduce some order management flowchart examples and an effective tool to draw this kind of flowchart. This flowchart is created using Edraw. It's not merely composed of basic flowchart shapes. Instead, it has added lots of vivid clip arts to make it less dull. 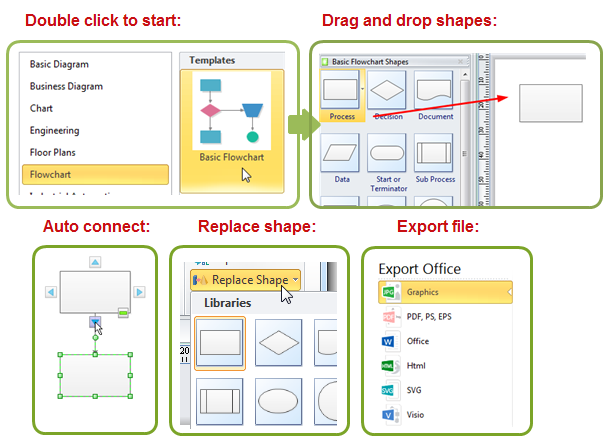 A great advantage of this program is that it includes libraries of ready-made clip arts matching with flowchart shapes. The clip arts are highly scalable and fully customizable. 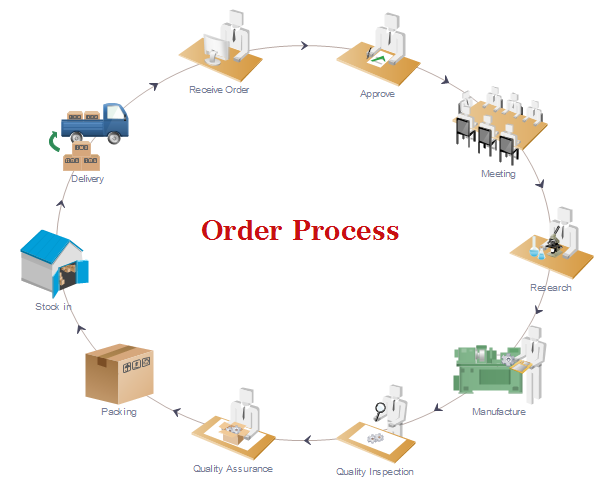 Below is the order process workflow. We have a complete set of workflow images for you to get started. How to Create Order Management Flowchart? 1. Identify each step in the process you want to illustrate. 2. Draft the process out using a pen and paper. Edraw helps you with symbols and tools to make developing an order management flowchart fast, easy and affordable. 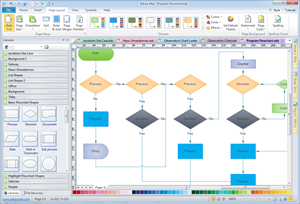 The software contains pre-made fully editable flowchart elements that you can drag and drop to use. For novice users who don't know where to start, we also prepared extensive ready-made templates that you can directly work on. Try it now and you will love this easy-to-use flowchart creator.